Sometimes spicing up a recipe is exactly what we need to make it new again. And when it comes to serving vegetables every night, sometimes a clever spin on one of our favorites – spinach – is exactly what we need to get our taste buds tingling and everyone excited about this leafy green. 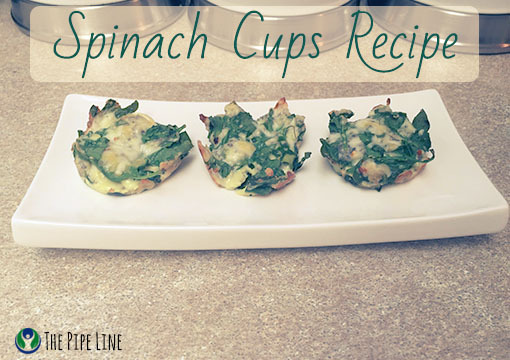 That’s where our spinach cups recipe comes in. 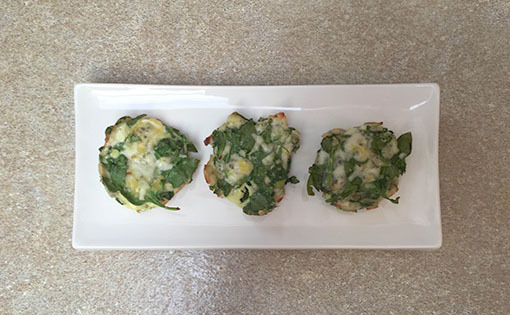 These delicious bite-sized cups are easy to make and we love them as a side dish, appetizer, or midafternoon snack. A tasty twist on one of our favorite leafy greens! 3. Combine chia seeds and water, set aside for several minutes. 4. In a large bowl, combine spinach, cheeses, garlic powder, red pepper flakes, egg and chia seed mixture. 5. Divide evenly into muffin tin, filling to the top and packed down into each cup. 6. Bake for 8-10 minutes, or until set. Let stand in the pan for about five minutes. Loosen the edges with a knife if needed and turn out onto a large plate. Serve warm. Add additional parmesan on top if desired. How did yours come out? Let us know in the comments!